Hexed, Transformers: Primacy, Terminal Hero and Original Sin comics reviewed. Pete and Pete take over the roundtable for this week's extra special Pete's basement episode! Why is it so extra special? Maybe it is Pete's no-spoilers review of Guardians of the Galaxy! How about we throw in a review of Teenage Mutant Ninja Turtles! Not enough? Fine! 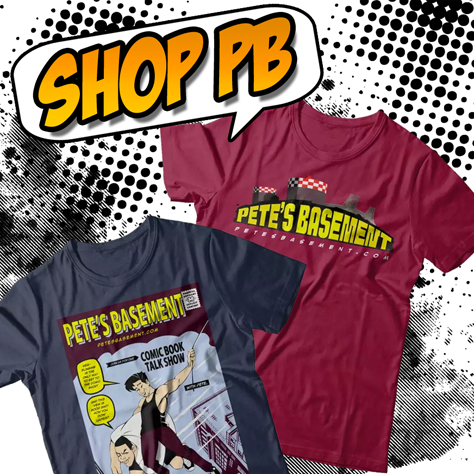 How about we bring back full-length episodes of The Pete's Basement Show! And just cause we like you, we're gonna' start our annual New York Comic Con Ticket Giveaway Contest too. There! Satisfied? Now go start that download. The boys discuss the Avengers Movie, this week's haul and some CGC scores.